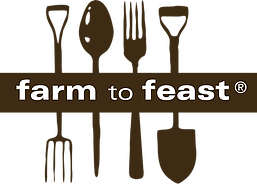 Tickets are ON SALE NOW for Farm to Feast! Please join us for our largest fundraising event of the year on Saturday, May 20th from 4:00-9:00pm for an adult-only event on Summerfield’s Biodynamic farm. (21+ years of age only). Space is limited, buy your tickets soon! Tickets are being sold through our online auction site: www.biddingforgood.com/farmtofeast. You can also find tickets and more info at: www.farmtofeast.org. The theme this year is CALIFORNIA COASTAL and the local cuisine will be served for up to 300 guests. The evening will include a food and wine pairing, student art exhibit, live music, and a silent auction, along with coffee, dessert and dancing under the stars. Enjoy live Music by Summerfield Parent, Shea Wells, and Parcivillian (featuring Stav Redlich, Class of 2017)! Feast Makers: Handline, Peter Lowell’s, Backyard, Odd Couple Catering and Summerfield. Vintners: Littorai, Martinelli, Porter-Bass, Small Vines, Davis Family, Truett Hurst, VML, Davis and Old World Winery. Partners: Revive Kombucha, Taylor Maid Farms, BREW, Redwood Hill Farm, New Family Farm, Tomales Bay Oyster Co. and Marshall Store. We are excited about this beautiful celebratory event on our farm, which is our biggest fundraising event of the year. We hope you will all do your best to attend and invite friends, as we rely on the success of this event to raise nearly $200,000 for our school. It takes all of us! We will also be running an on-line auction starting on April 25th at www.biddingforgood.com/farmtofeast.